In yet another excellent sermon published in ‘Descending on Humanity and Intervening in History’ (ed. Jason Goroncy), P. T. Forsyth skillfully exposes, by force of logic, the poverty of ignorance in understanding Christian things in general, and specifically in this section of the sermon, Creeds in particular. He calls these contemporary interpreters of Christian things people of “narrow mind” and “narrow soul”. Peter Abelard was a highly gifted intellectual. He outshone his fellow French pupils and tutors alike during the High Middle Ages, being also a supreme master logician. One of his pupils was a young woman named Heloise, who was, arguably, more gifted than he. The short story is that they fell in love (or fell in lust? ), had a secret affair that was then exposed, leading to a strange story of marriage, revenge (castration – ouch! ), love and ministry. I have been reading from the Penguin Classics series by updated by M. T. Clanchy from the work of Betty Radice’s own work of the 1970s, featuring the letters of Abelard and Heloise (including his really fascinating autobiographical account – worth the book alone – Historia Calamitatum) plus other bits, such as letters between Peter the Venerable and Heloise, two hymns by Abelard and extracts from the Lost Love Letters. Another of Clanchy’s books opens with: ‘Peter Abelard, now forgotten, was once the most famous man in the world.’ Well that may be what it is, but it is not what all it is. Peter Abelard was born c.1092 at Le Pallet, near Nantes, the eldest son of a minor noble Breton family. His father wanted his son to have a career in the military as he did, but Abelard pursued life as an academic, and a gifted one at that. Abelard excelled at the art of dialectic, and during this early part of his life he “began to travel about in several provinces disputing, like a true peripatetic philosopher, wherever I had heard there was a keen interest in the art of dialectic.” One gets the impression he rather enjoyed being the know-it-all, but I suppose to many (including himself), he did! Diamonds and Rats: For all we know! Is there a connection between the biggest diamond ever, and the small Laotian rock rat? Without wishing in any way to stereotype, is it true that most/many/some women would love to own a large diamond (is that really true?….help me out here!). Anyway, part of the English Crown Jewels is made from a 530-carat Star of Africa, cut from a 3100-carat gem. For a long time it was thought to be the biggest diamond ever. Then in February 2005, what happened? News broke of a discovery of “the diamond of all diamonds”. This dazzler was given the romantic name: BPM 37093. Phwooaaar! It was bigger than all the other known diamonds put together. You won’t believe me if I tell you it is bigger than the moon (I hardly believe myself)! Having had the best part of the weekend in Oxford (Baptist Union Assembly), I must say what an inspiring place it is. I’m sure the sun shining was a major factor, not to mention the incredible falafal wraps I enjoyed, with a decent pint at the famous pub favoured by C. S. Lewis and the Inklings. C. S. Lewis was ‘ere. I wandered around the oldest University in the world, Balliol College (£2 entry fee! ), established in the 13th century, and counts among its past students Herbert Asquith, Harold Macmillan, Edward Heath, and in 1360 AD John Wycliffe, who translated the Bible into English – a dangerous thing to do. The main entrance to the college is on Broad Street, and it was here that a terrible event took place in both 1555 and 1556. This cross marks the spot where three Reformers were burnt at the stake for their part in the Reformation, accused of “heresy”, i.e. Protestantism. The following is a short book review of ‘The Breeze of the Centuries’ (IVP, 2010) by Michael Reeves, that I wrote in 2011. I really enjoyed this book and encourage every Christian to get it. Michael Reeves has written this superb short introduction to some key theologians from the 1st century (post-Apostolic age) through to Thomas Aquinas in the 13th century in only 152 pages. That alone is a modern day miracle! By his own admission, he has had to be highly selective, for example, why has he chosen this theologian and not that one? But in any case, these great and often crazy mixed up church leaders that he has chosen to write about are central to any development of the Western tradition, of which all of you reading this have been influenced, whether you know it or not, whether a believer or not! Admittedly some of the theological wranglings are suspect and some pointless (at least to our modern minds), but a lot of the work by these Church Fathers is ‘theology on the hoof’, an integration of what it is to think about situations as they arise. For example, when the Church is being persecuted, the theology is very different to when the Church is settled and resting. The urgency found in the writings that oppose false doctrine are especially sharp, such as Augustine’s ferocious attacks against the doctrine of Arianism, the ancient form of modern day Jehovah’s Witnesses, who deny the deity of Christ. But Augustine was also profoundly self-critical, probably because of his pretty lax morality during his early adult years! Despite these personal foibles, Augustine was God’s man at the right time, not just doctrinally, but historically – for he witnessed the fall of Rome and the Barbarian invasion, thus his brilliant book The City of God was born. This was not just an apologetic against Christian heresies, but a warning shot across the bows of the Churches against their comfortable affiliation with the Roman authorities. Christianity had become nominal in Roman culture as it is today in the Western world, and Augustine challenged the Church to think about where her allegiance lay: with the City of God (the heavenly Jerusalem – picking up on the pilgrim traveller motif from the Book of Hebrews), or the earthly City of Rome, a political alliance of power and wealth (something the Church has never been called to!). I wondered if this book helped the nuns and monks of Britain when Rome departed from Britain and within a few years the brutal Vikings invaded. Talk about a new world order! What would we think of God in such circumstances? I have majored on Augustine in the 4th/5th century, which is unfair on the centuries that had gone before. In these we find a tapestry of brilliant minds, unlikely converts, astonishing clarity of doctrinal and theological matters, as well as many howlers. The wheat always grows with the tares, and no person ever has a claim on infallibility. Starting with a disciple of the Apostle John, Papias, we breeze through the centuries with ease, towards Clement of Rome, Ignatius and Polycarp. Each one holding high office within the church, and their letters to the churches bear witness of the usual struggles facing a church; dysfunction within and heresy without! In many ways, it’s the same problems Paul faced when he planted churches and as these churches matured, problems arose that were specific to their particular context, and this is the same for us today. It’s all very well simply saying we should just do what Jesus did, but remember, Jesus never preached to a secular person or an unbeliever. Everyone he spoke to was religious in some way or other. And so, like the Church Fathers, we are living in our context, and so we interpret our faith in that light, asking for wisdom as we do so. That is of course why we have preaching. It is contextualising God’s Word for today, for if that was not necessary, all we need do is simply read the passage of Scripture and sit down again and everybody would simply understand and perfectly apply the Word, but that is not the way God has ordered it to be done, even if it would be a good idea sometimes! Anyway, as the relationship with the State changed, as Christianity became more accepted and finally adopted as the religion of the Roman Empire, so the persecutions and scatterings ceased. What replaced it, was a much more thought out, more thorough application of theology on what exactly it means to be a Christian, a follower of Jesus Christ. Many militant atheists for example, will try and tell people that the doctrine of the Trinity, Father, Son and Holy Spirit was a fourth century invention. This is simply ignorant misinformation based on bad historical research and poor theology. Centuries before the Council that affirmed this wonderful truth, Christian theologians were fighting for the truth and reality of this doctrine as if their life depended on it. Their life did depend on it and many faced horrendous struggles, but their logic, their sound teaching, their God-given ability for mastering the Word but more importantly, being mastered by it, won the day. Otherwise we would all be Arians (Jesus is a created being), or Marcionites, who believed the God of the Old Testament to be different from the God as presented by Jesus. Or we could be Gnostic Christians, those mystical hyper-spiritual people who believed all fleshly things were evil and all spiritual things were pure, and so they had a very low view of creation and the body, which in turn affected how they treated the environment and how they de-valued the body. People live what they truly believe, that is why we must always seek to know what we believe. These and other heresies almost won the theological battle that was raging. Ask yourself a question as you read this: Why are you not a Mormon, or a Muslim, or a [fill in the blank]? It is likely that you have met God the Father through God the Son, and you have a basic idea of why Mormonism or Islam doesn’t fit with your view of God. That makes you a ‘theologian’ and you owe that to the Scriptures as defended by the brave men and women of the past two thousand years. Knowing what you believe and why, having that robustness that takes you beyond mere feelings is vital for a healthy Christian walk. In the eleventh century, Anselm was a monk who pursued the biblical command to get understanding. Thus, Anselm is known by the phrase, ‘faith seeking understanding’. By that he meant that he would demonstrate the reasonableness of the truth of Christianity by the use of unaided reason. Anselm’s faith here is not blind faith, but specifically an active love for God. It is this love of God, love for God, that seeks to know God in all His majesty and grace. He pursued this through rational means as a way to demonstrate the truth of Christianity because, as he said, without love for God, people become irrational, foolish and blind. His writings pursued this theological line of enquiry. And so we come to the final inclusion of the book (this book is the first of a three part series). We come to a man so large, so dopey looking, with a thick set forehead and a funny waddle of a walk, that for those who didn’t know him as one of the world’s major thinkers and theologians, he was referred to as ‘The Dumb Ox.’ Charming! Reeves writes that Aquinas “spurted ink like a cuttlefish” as he produced a staggering mountain of books. 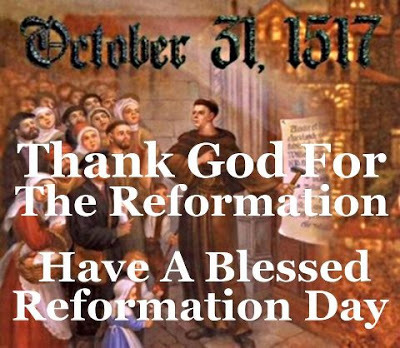 His writings were astonishingly important for medieval theology for the Catholic Church then, and are still influential among Reformed wings of the Church today. I guess in more ways than one we shouldn’t judge a book by its cover. I haven’t delved into the actual content of these incredible men, many of whom were martyred (strangely, Aquinas hit his head on a branch and died soon afterwards, in his forties)! Never-the-less, this book is an inspiring read of what it truly means to wrestle with the holy things of a holy God! I hope and pray that wherever you are in your journey, that you are at the very least, wrestling with some part of what it means to be a follower of Jesus Christ in today’s world. Like Jesus and Paul before them, their bravery was simply awe-inspiring. Would I die defending the name of Christ and the truth of Scripture? I hope so. But to do that I must know what I believe and why I believe it. That’s theology, that’s faith seeking understand, for the love of God and for the Glory of His name. May that be true for all God’s people. Genius. I’m off to get a pipe. The Ascension is possibly the most neglected event in evangelical theology. We do Christmas quite well (does get a bit repetitive though), and Easter is a Big One. Of course, one problem is the bizarre way we imagine how it happened, since the film and TV images we’ve been fed have implanted a rather silly picture of a floating Messiah, hands raised Icon-like in blessing, getting higher and higher. If you don’t burst out laughing you’re a better person than me! We need to ditch those images and think more clearly on meaning and significance. 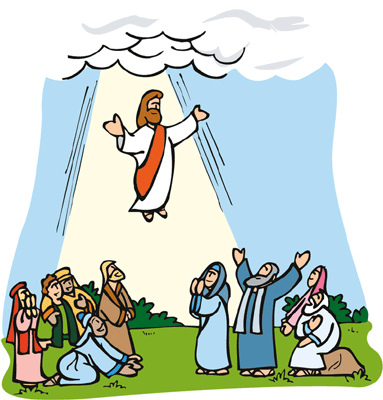 Yet the Ascension is a hugely significant aspect of Christ’s work. As the resurrection validates the Cross, so the ascension validates the resurrection. As many Psalms affirm, God now reigns, He is King! 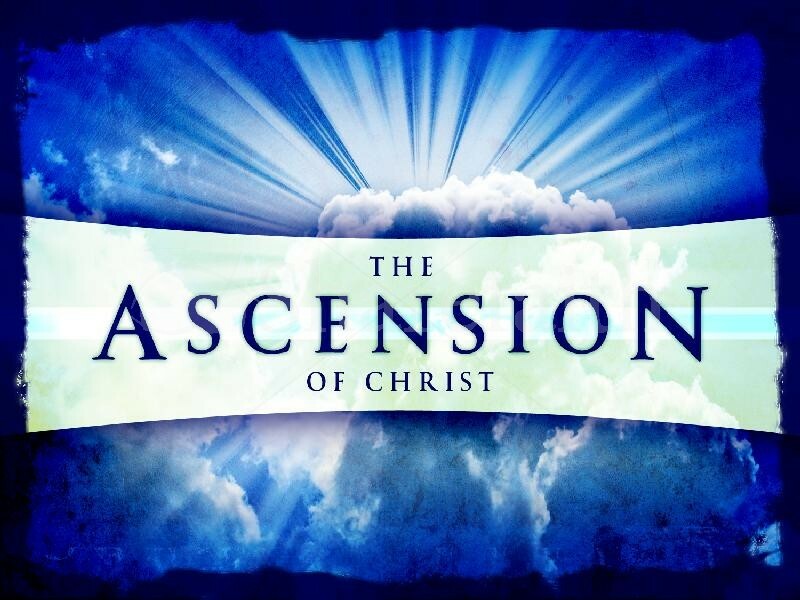 “The mystery of the Lord’s Ascension, dear brothers, has ordained today’s festival. Let us rejoice that the Only-begotten of God came to earth for the redemption of all and let us be glad that He entered heaven for our immortality. For this is the truth of our saving faith that we believe in His Passion and do not deny His glory. Nor indeed is the essence of the miracle such that He who came from heaven returned to heaven, but that He brought to the Father the manhood which he had assumed from earth.